This is about my commute to work nowadays when weather is graceful with me and I ride to work. I hope it can not be better than this. Crossing the most green part (there are loooooots of green bucks around as well) of PARIS on a bike. I leave you to explore the rest from Google map. I am sure you will have fun. If I compare this with people in Bay-Area (CA), New-York or Bangalore, Delhi I think people will envy me. I need to elaborate more on the word envy and why I chose. As in first version of this post I did not do that. If you have grown up with green devil with a tail and a broken TV advertisement I am sure you know what I am talking about. The ONIDA advertisement was simple; it was about a TV which was supposed to be so good that neighbor throws a stone and breaks it due to sheer amount of envy. So the message was to get some different idiot box then your neighbors and show it off. At the end in Indian middle class every body wanted to be different and lots of them got ONIDA which made them all living in same kind of glass houses. To me it was as good as any other mid-range TV for that price. But unfortunately those new proud ONIDA owners found themselves that they can't tell each other over a cup of tea that they got 30 channels in their new TV to watch DD1 (Indian National TV Network). Well those are the stories of 80s but campaign of ONIDA remains same till today. You can read more on the same and check ONIDA latest advertisement at their web site. I am not sure who is envying whom - is it me who is envying at others who passes me with whooping speed in their big fat German SUVs or someone reading this finds it as a cool ride to work. I tried my best to add this from Google maps. 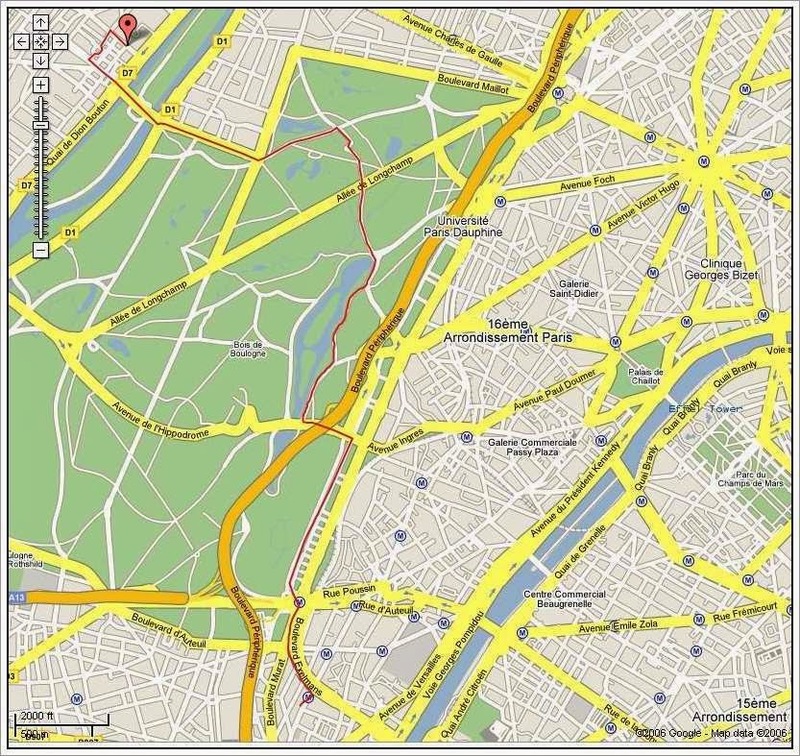 And of course there is the big image with red line which represents my route. Check Google Maps I will try to post some nice pictures along the route in few days.